Perfectly Clear is offering some great deals through Nov. 27, for both current and new customers. Perfectly Clear is a great app that allows you to fine-tooth some of your editing. It’s perfect for portraiture, helping to sharpen faces, reduce shine and blemishes, plus much more. 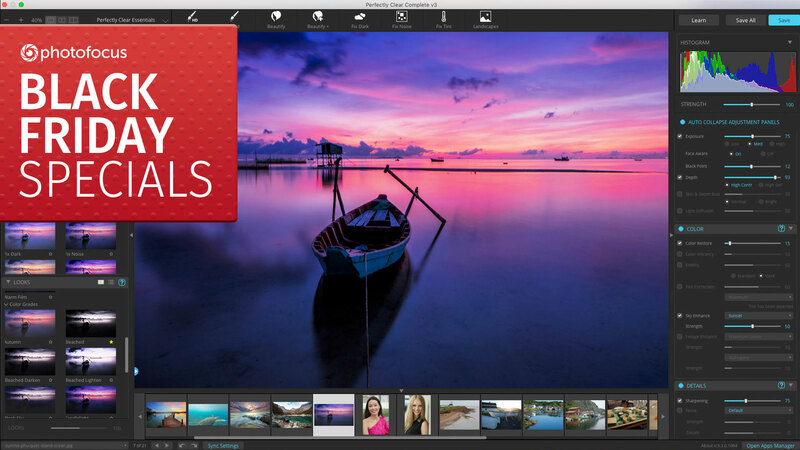 While it can be run as a standalone app, it also comes with plug-ins for both Lightroom and Photoshop, making it easy to go back and forth between apps.